The winter winds are moving in and I’m not ready. 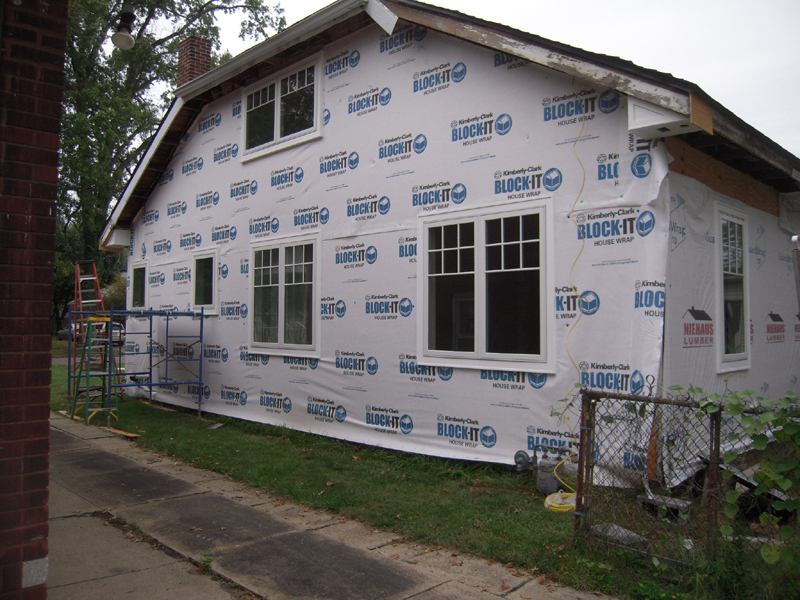 But we will carry on, as I gotta get the siding up – hopefully this year. It would go quicker if I would quit making up fancy do-dads for the exterior trim. I started by getting some fascia wrapped around the sunroom. 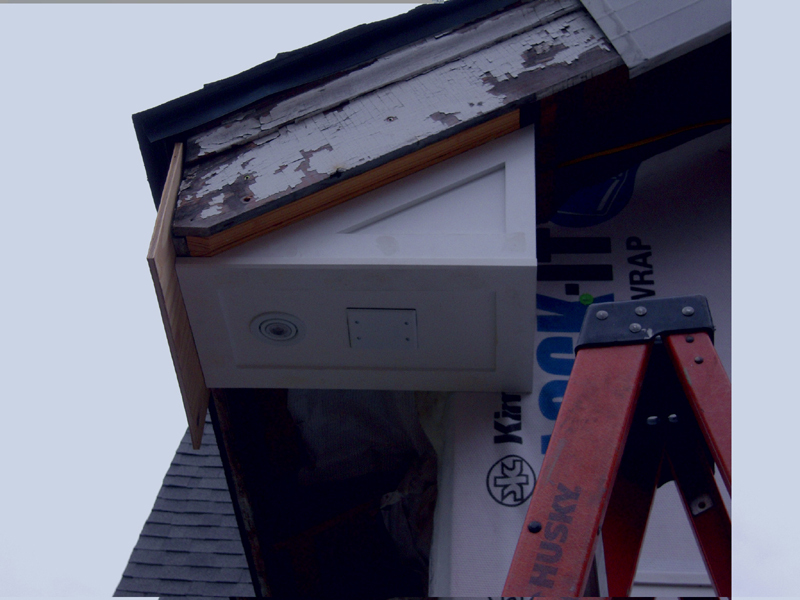 When the roof was put on I used a spacer to make sure I could get the Azek trim under the gutter apron. That’s a nice, normal trim detail. Now it gets more difficult. There are discussions all over the web about ‘pork chop’ or ‘mutton chop’ eave returns. 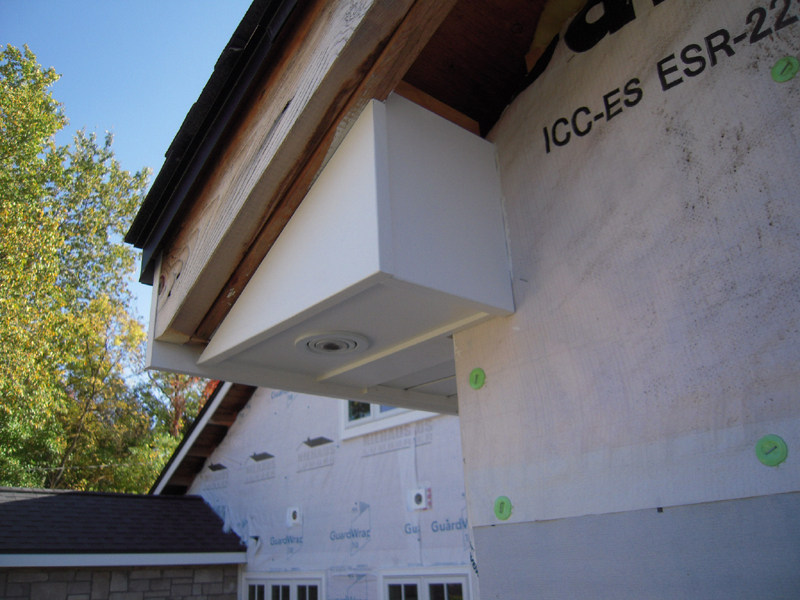 That’s the blocked out ends of the eaves that almost every new home has, but most don’t like. 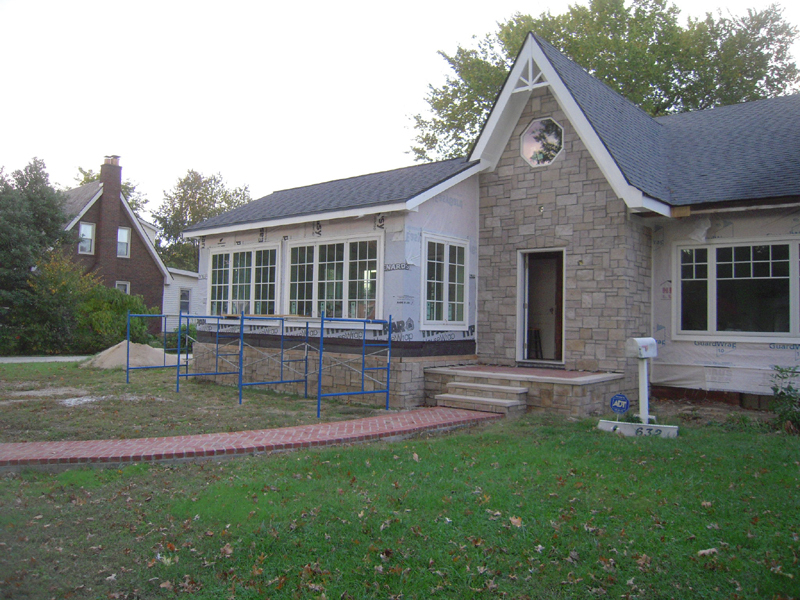 This house had them originally – but then this was a low budget house when built. So my solution is to make a semi-recessed return. I’ve never seen it done, but why would that stop me? These are on the old part of the house. The roof overhang is 16″, which made these guys pretty big. I made them like cabinet panels using 3/4 trim stock for the frames and 1/2″ sheet stock for the insert. I used super blue remodel boxes in a couple of locations. 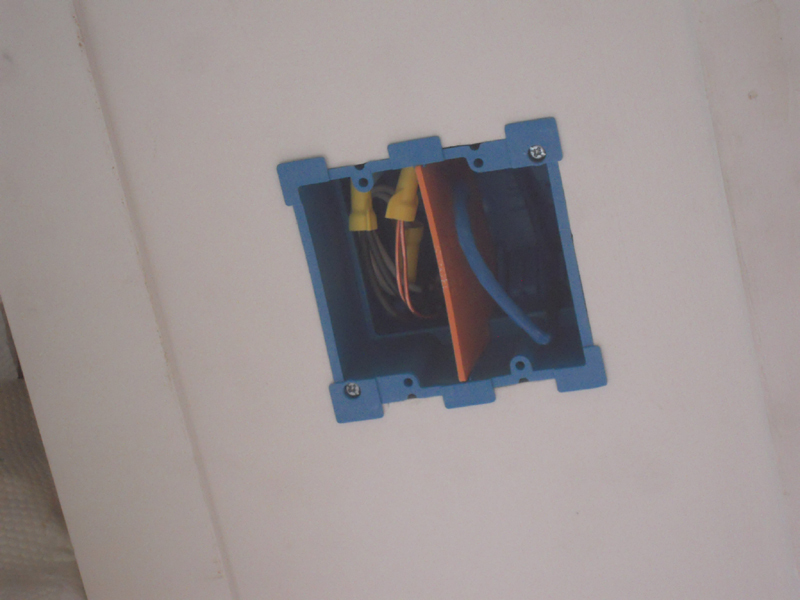 110v power to the left and a cat5e cable to the right with an approved electrical divider in between. Just in case I want to add a Pan,Tilt & Zoom security camera later. Just planning ahead. A weather proof cover keeps everything dry. The original fascia boards are in really good shape, being covered with aluminum for many decades. 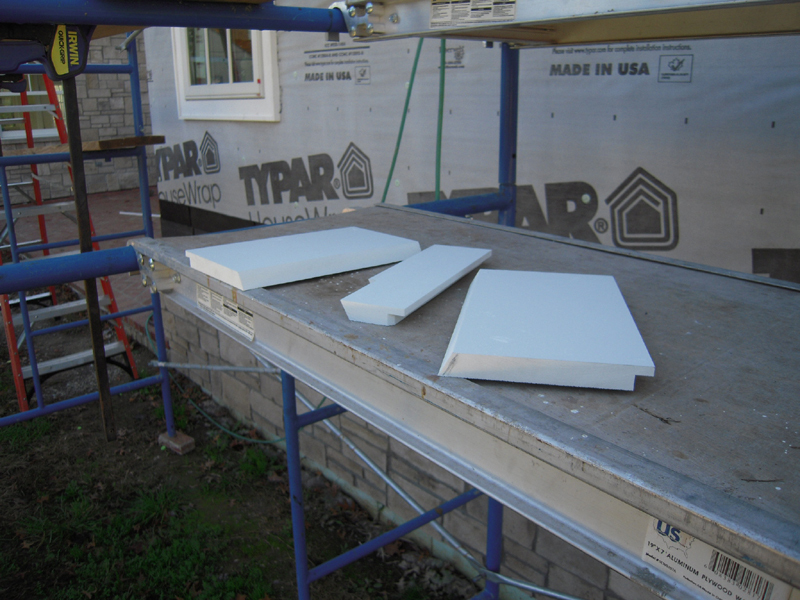 We’ll scrape them and use them as the backing for the new Azek 1X10 trim stock. I used these fixtures for the down lights. They are available on Amazon – a pair costs less than 20.00. 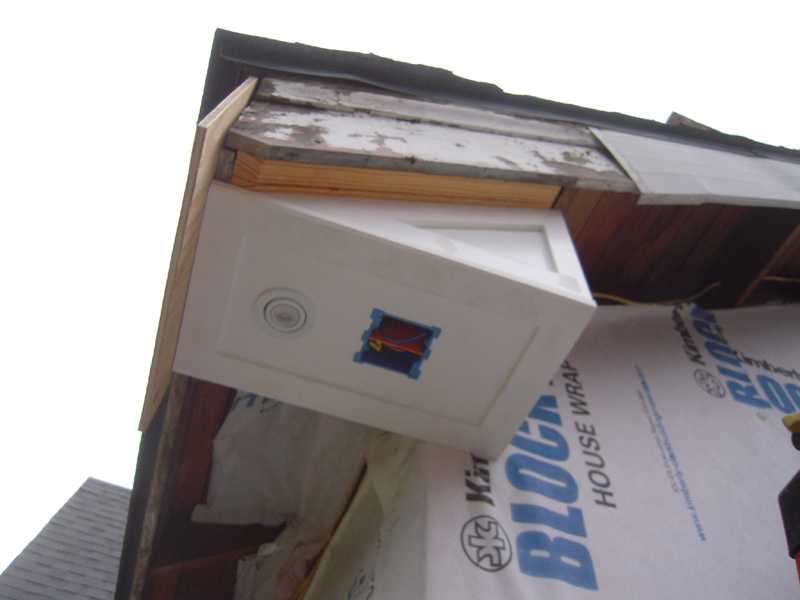 I used these because of the small junction boxes on top. They come with a 50w halogen bulb which I replaced with a 6.2w LED to reduce the heat. 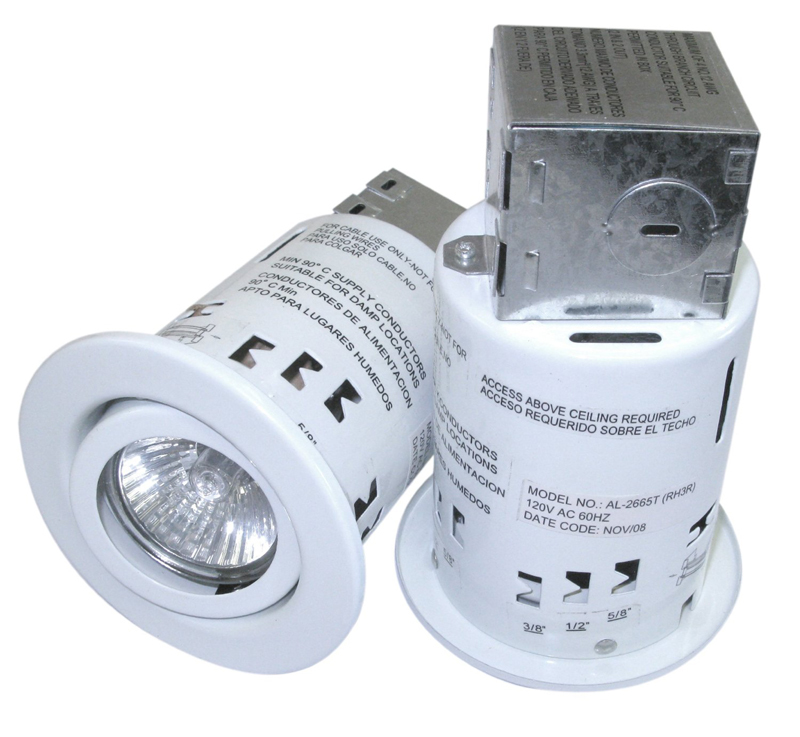 I used 10 of them and it lights up the whole perimeter of the house – using only 62 watts. The sunroom side has eaves at about 11″, so they are a little smaller. 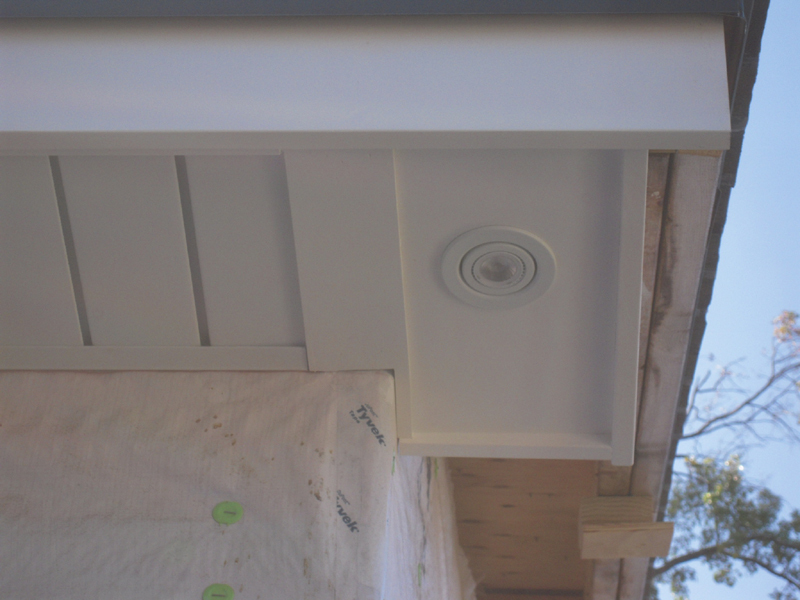 Here you can see how I integrated the light box panel to the hidden vent soffit detail. Here’s the back of that same box. 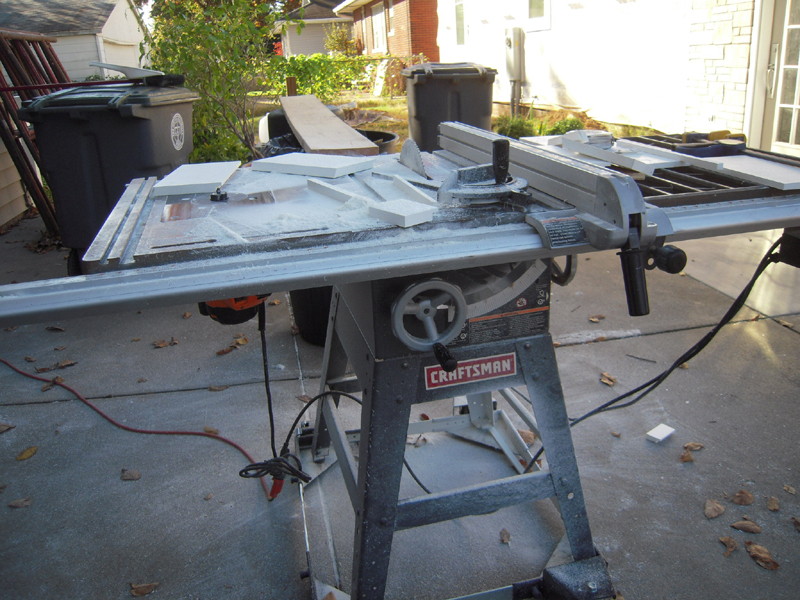 You can see the recess back from the fascia – so this will take a little fancy cut work to trim out. Dang, that’s the trim pieces that go around each of those light box/eave return things. Looks like the Azek dust will be flying – glad I’m doing this outside.